*Well this is something that no doubt made an old man feel good. 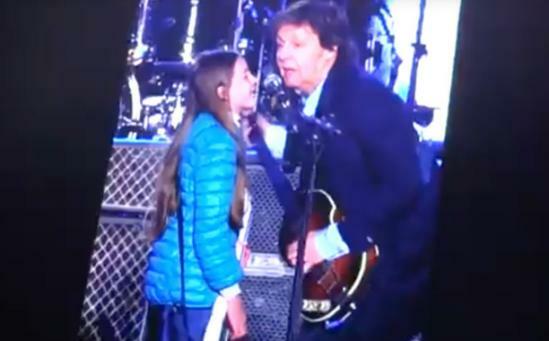 During his concert in Buenes Aires, Argentina, legendary Paul McCartney managed to invite a young girl up onstage, thinking she wanted him to sign her doll. Read more and watch the performance at EURThisNthat.